Dynasty United Youth Association started in 2014 and now serves South Los Angeles students through five libraries including Hyde Park. They offer hands on support with school work, homework, papers and more on Thursdays at Hyde Park. The Park Mesa Heights Community Council is proud to support their work with a Neighborhood Purposes Grant for $5,000 and we encourage you to take advantage of their services. 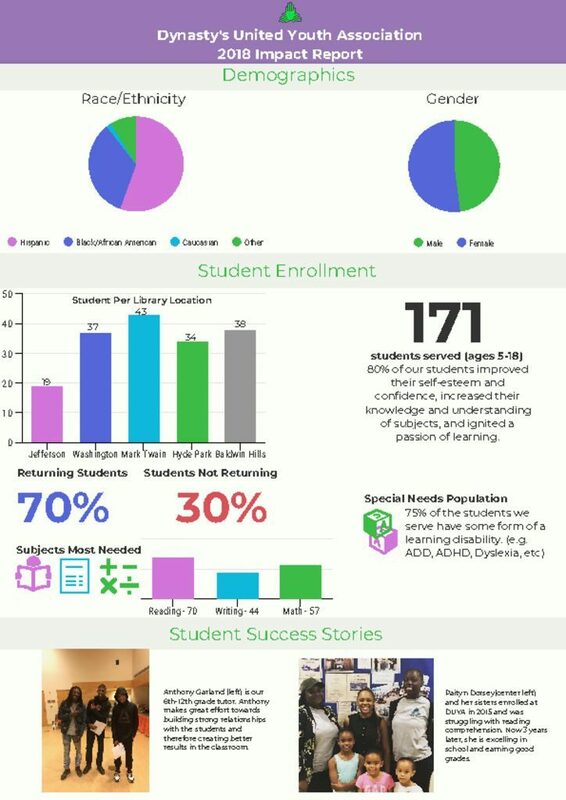 Below is their 2018 Impact Report showing how they are working with 34 students at Hyde Park on math, writing and social skills.